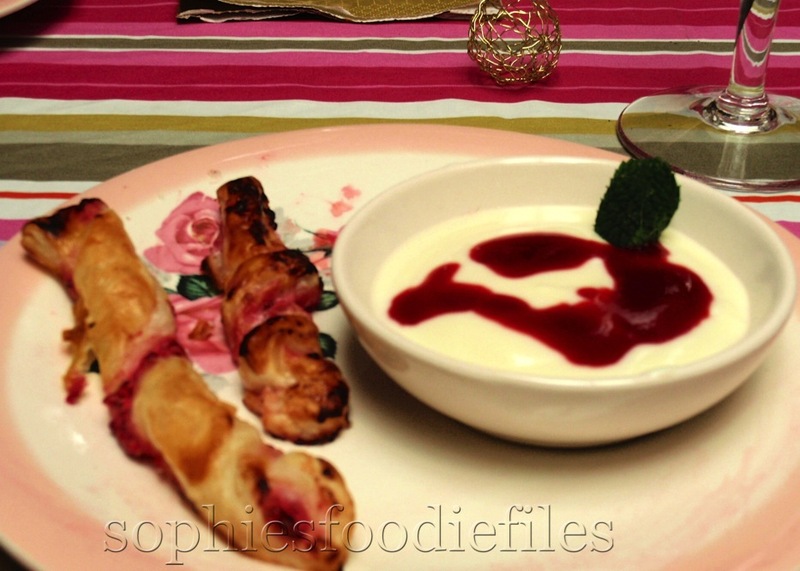 Vegetarian red currant ricotta appetizers! These lovely vegetarian appetizers were invented by my beloved mom, Lou. Can you spot the resemblance??? 1 pot of 250 gr ricotta + 1/2 pot of 250 gr = in total: 375 gr! 2 x 300 gr puff pastry with margarine, in squares. Every square will be cut up into 6 or 7 long slices. 1. 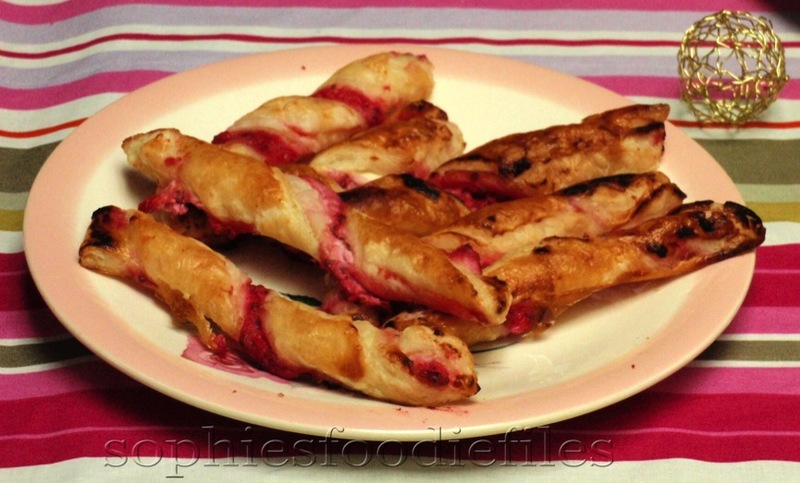 Take puff pastry out of the fridge & out of its package. Place 1 or 2 square pieces on a large chopping board. With help of a spoon or knife, smear ricotta in 1 layer all over the surface of the square. 2. Now, place your blended red currants in a fine sieve & place it on top of a fitted bowl. Let the red currants sit there for about 5-10 minutes. With the help of a spoon, see that the juice is in the bowl below. Shake off the juice of the berries & use the berry juice for later on in smoothies or in your daily yoghurt-cereal breakfast! 😉 We are just going to use the red mixed berries & we don’t want to have the excess of liquid otherwise the pastry will be too runny & the pastry will get soggy before baking! 😉 And we don’t want that! So, now, with help of a spoon or knife, smear an equal layer of the mixed berries on top of the ricotta layer. Now, with a sharp knife, cut the square into 6-7 equal long slices. See pictures further below. Slicing the squares of puff pastry! Mom got 6 appetizers out of 1 square puff pastry! The appetizers got brushed with egg yolk all over & placed into the preheated hot oven for about 12 minutes until golden brown! ♥ Stay Tuned & subscribe by email! Join 1,800 email subscribers now!!! It is free!!!! Click the link here below to subscribe!!! Previous Post Vegan Gluten-free banana ice-creams with Sophie’s twists! Next Post Raw Vegan Gluten-free blackberry caramel nougat bars! Oh Sophie, I hardly recognized you there! Must have been about 20 years ago since we last saw each other? I will email you because I don’t know who you are! What a beautiful photo of you and your mama! I love those pretty appetizers. It’s like heaven: this lovely appetizer with an excellent glass of Champagne and lovely people around. Lovely photo of you and your mother, and the recipe sounds lovely! How beautiful mother and daughter together , preparing excellent appetizers. 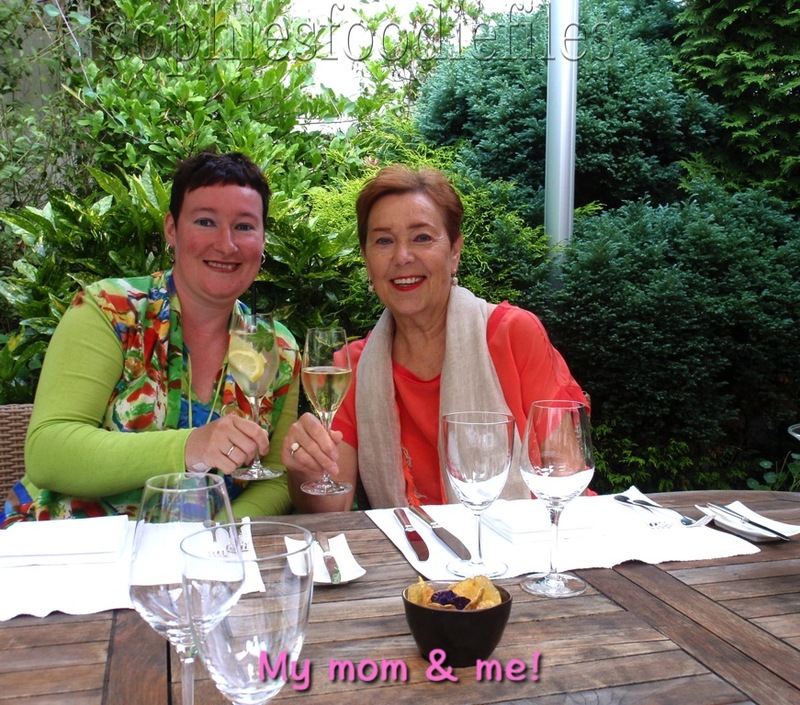 This is another winner Shophie and I love the picture of you and your mother – just beautiful!! Aww what a beautiful picture of you and your mom!! I love these gorgeous appetizers! They look soooo good and fun to make with a friend in the kitchen. I saw currants in the store the other day, right after I had commented that I haven’t cooked with them before. I’ll have to make these now that I know I can get them!